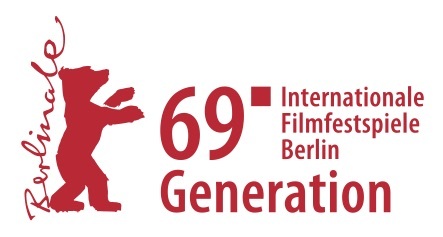 Official selection ‘By the Name of Tania’ at Berlinale! We are thrilled to announce that ‘By the Name of Tania’, directed by Mary Jiménez and Bénédicte Liénard, will have its world premiere at the 69th Berlinale – Berlin International Film Festival. The film will compete in the Generation 14plus section. Congratulations to directors Mary Jiménez and Bénédicte Liénard and the incredible team: cinematographer Virginie Surdej, editor Marie-Hélène Dozo, sound engineer Kwinten Van Laethem, sound editor and designer David Vranken, re-recording mixer Peter Warnier @ Warnier Posta, co-producer Julie Freres (Dérives), Katja Draaijer and Frank Hoeve (BALDR Film) and Camille Laemlé (Les Films d’Ici), grader Peter Bernaers, production manager in Peru Lali Madueño Medina and many others. http://www.clindoeilfilms.be/wp-content/uploads/2019/01/69_ifb_generation_red.jpg 237 443 clindoeil http://www.clindoeilfilms.be/wp-content/uploads/2013/07/bird.png clindoeil2019-01-20 20:51:092019-02-15 11:11:56Official selection 'By the Name of Tania' at Berlinale!